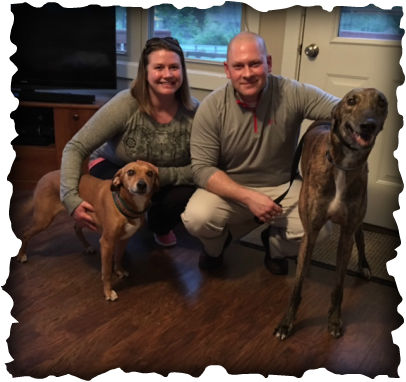 Jack E Mac has found a greyt home in Liberty Twp. with Stefani and Mike and their little female beagle mix, named Macy. Unfortunately they lost their sweet boy Spartugus recently and Mike said they really needed another greyhound in the house. Mac was exactly what they wanted and immediately fit into their home by leaning on Mike while we talked. Macy will take a little time to accept Mac but I'm sure soon they will be buddies.